In a bid to enhance logistical efficiency on India’s highway network, the transport ministry is planning a country wide network of 35 multi-modal Logistics parks which will account for 50% of road freight. 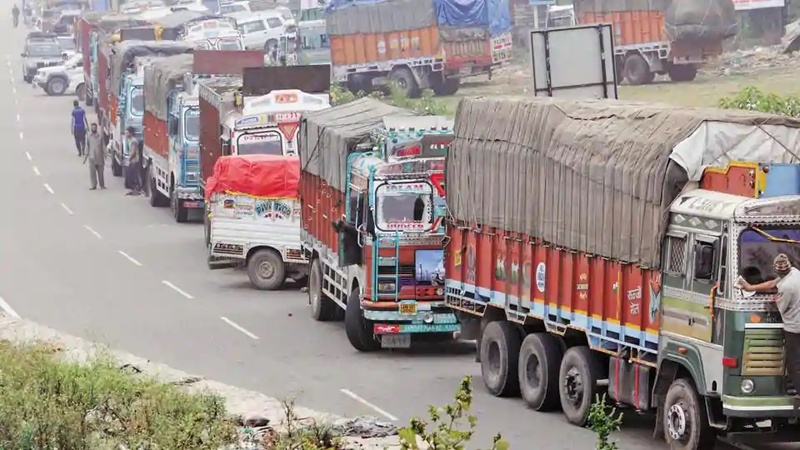 In a bid to enhance the logistical efficiency on India’s highway network, the transport ministry is planning a network of 35 multi-modal Logistics parks which will account for 50% of the road freight in the country, according to a ministry proposal. India has a total road network of 5.6 million km. National highways account for 2.3% of this with a total length of 131,326 km, state highways account for 144,961 km and other roads 5.3 million km. National highways cater to more than 40% of the road traffic. The transport ministry, in a review meeting with the 15th Finance Commission on Wednesday, said that a draft policy on the development of the multi-modal logistics parks envisioned to be key production and consumption centres has been prepared and shared with the department of commerce. Setting up of Multi-Modal Logistics Parks (MMLPs) part of transport ministry’s Logistics Efficiency Enhancement Program (LEEP) are aimed to improve the country’s logistics sector by lowering overall freight costs, reducing vehicular pollution and congestion, and cutting warehousing costs. “Of the 35 identified locations, 24 are situated on the national corridors planned to be taken up for development in the Bharatmala Pariyojana Phase-I,” the ministry noted in its presentation, a copy of which has been accessed by HT. It added work on the detailed project reports (DPRs) for seven locations – Nagpur, Mumbai, Bengaluru, Chennai, Surat, Sangrur and Jogighopa (Guwahati) – has begun. 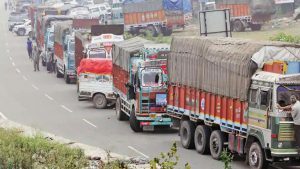 “The role of ministry of road transport and highways is to assist the states for the preparation of DPRs for logistics parks, the provision of road connectivity to the Multi-Modal Logistics Parks (MMLPs), the identification of potential locations, and to co-ordinate with the ministries of railways and shipping for connectivity to other modes like rail and inland waterways,” the ministry told finance commission. In 2017, 33 memorandums of understanding (MoUs) were signed with state governments of Assam, Karnataka, Tamil Nadu, Andhra Pradesh, Telengana, Gujarat, Container Corporation of India Ltd (Concor), Inland Waterways Authority of India (IWAI), Port Trusts, National Highways and Infrastructure Development Corporation Limited (NHIDCL), Dedicated Freight Corridor Corporation of India Limited (DFFCCIL) and private entities such as Ascendas on initiatives to improve state of logistics worth Rs 2 lakh crore, the ministry noted. “This is a good initiative but just an idea as of now and it remains unclear on how it will help reduce logistics cost. Isolated projects such as the construction of the Dedicated Freight Corridor (DFC) will go a long way in bringing down congestion and directly impacting cost,” Shubham Jain,Vice President, ICRA Limited. This comes in the backdrop of the National Democratic Alliance (NDA) government’s plans of setting up multi-modal terminal hubs along the national waterways as part of the part of the Jal Marg Vikas Project (JMVP,) a Rs 5,369 crore World Bank-aided project on the Ganga aimed at augmenting the navigational capacity of the Varanasi to Haldia stretch of the river. HT reported in October that the government’s plan to set up a multi-modal terminal that provides rail, road and waterways connectivity in Varanasi has run into trouble because of places of worship on the land.